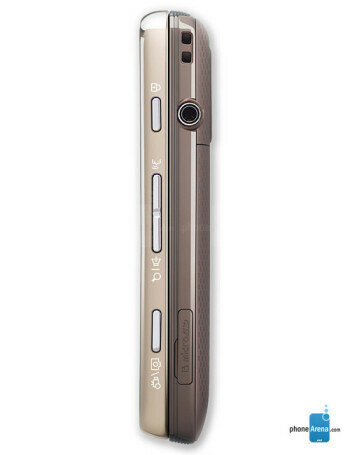 The Samsung Rogue SCH-U960 is a touchscreen side-slider with a 3.1" AMOLED display. 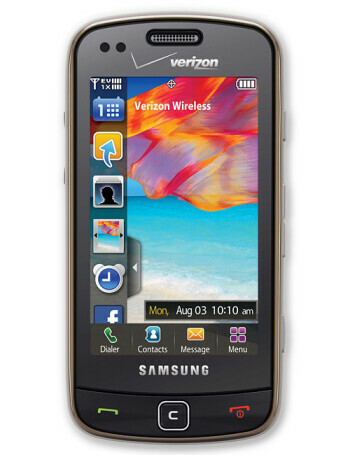 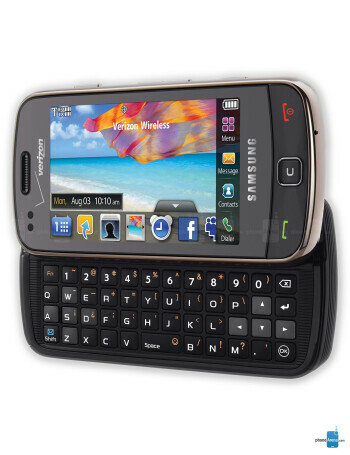 It sports a QWERTY keyboard, Bluetooth, MP3 Player, GPS, and a 3MP camera with Geo Tagging. 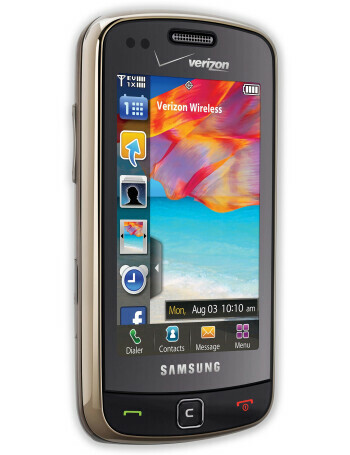 It will also use Verizon's EVDO Rev A data network.